Disclosure: This post is part of a series of posts in partnership with Petbrosia to teach pet parents about pet health and the importance of pets staying healthy in the new year. Okay guys, let’s be honest. We all slip human food to our dogs. When they give us that cute, begging look, we sometimes do give in. Other times, they may sneak something that falls on the floor while cooking. That being said, if Reya grabs something I don’t know, I’m immediately in a panic yelling for my husband to check and see if we need to call a vet or the poison hotline. Most of the time, however, I’m very logical when it comes to treats. We have our doggy training treats and our treats we gives her if she was really a good girl to make sure she gets all the nutrients she needs. As crazy as it may sound, we usually recommend rather than buying treats for her when we go to visit family they pick up a bag of carrots. It’s one of her most favorite human foods, and so good for her! Knowing that many dogs owners get confused on the dos and don’ts when it comes to human food, we listed 12 of our favorite safe human foods for dogs. We think you may even be surprised at some of the foods on the list! Sweet Potatoes – most dog owners are probably nodding since a lot of companies sell dehydrated sweet potatoes as treats. They are a great source of fiber, and loaded with vitamins and minerals such as vitamin B6, vitamin C, beta carotene, and manganese. Blueberries – out of all the fruits, this is probably one of the best for dogs and humans alike. Blueberries are high in antioxidants, fiber, and various vitamins! They are great fresh or give your dog a crunch treat by putting them in the freezer. Apple Slices – I have to stress apple SLICES on this one – make sure all the seeds are out of the apple before giving it to your dog. Apples are a great source of fiber, Vitamin A, C, and are great at helping freshen your dogs breath! Carrots – this may very well be Reya’s most favorite, inexpensive treat. Raw carrots are great for your dog’s teeth, low in calories, and very high in fiber. They are also a great source of beta carotene and vitamin A.
Bananas – even though many pet owners don’t think about it, bananas are great for dogs too! They are loaded with amino acids, electrolytes, minerals, potassium, fibers, and many more vitamins and minerals. Since they are high in sugar, however, they should be given only as a treat. Peanut Butter – unless you or your dog is allergic, peanut butter is a great treat for dogs. It is a great source of protein and a healthy fat for dogs. Like all treats, make sure to give in moderation. Oatmeal – you may laugh but many dogs love oatmeal! I mix it in homemade treats as well since it is a great source of fiber. Just make sure to cook it first and don’t add any fancy ingredients! Cheese – As long as your dog isn’t lactose intolerant (not all are), cheese is perfectly fine as a treat. Pumpkin – pumpkin is a great source of fiber, beta-carotene, and Vitamin A. It is also great to give your dog if they are dealing with any tummy upset since it keeps the GI tract moving. Green Beans – raw green beans are a great treat for dogs. They are low in calories, filling, and dogs love them! Eggs – scrambled eggs are a great way to add protein to your dogs diet. They are also a great source of digestible riboflavin and selenium. As well, dogs love them! Just never give them to your dog raw! Broccoli – this is another great, crunchy treat for dogs that can be given raw in moderation. It is rich in vitamins but too much may cause some tummy upset (or a stinky dog). Thanks for sharing. You usually don’t hear about what we can give our animal children. It’s funny because usually I only see posts on what not to feed your dog!! I never knew that dogs could eat eggs! I wonder if my dog would like green beans. I learned some useful info. Thanks. These are so great to know! I love the idea of oatmeal. What an easy treat to make. I’m passing this on to all my dog friends too! Great post I always wondered what was safe to feed the dogs. You always hear about what you shouldn’t let them eat. I had no idea that dogs liked fruits and vegetables. I’ve never seen a dog eat carrots before. 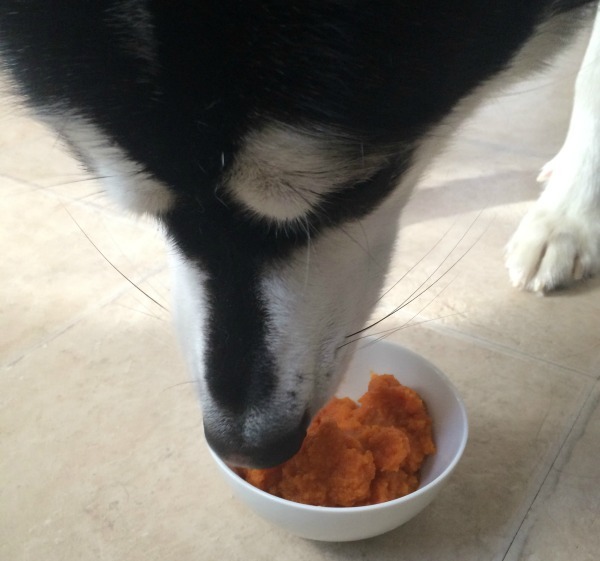 Carrots are awesome for dogs! With the recent scare of dog treats made in China killing pets I can imagine that any dog owner would be looking for other options!! And what better than REAL food!!! Such a great list! Thank you! This is a fun article. I can not have my dog in the kitchen because nothing hits the floor. I would have never thought that bananas would be could to give a dog. You learn something new everyday! I am very surprised at a few of things items. Broccoli and Carrots? I never would have thought that a dog would like these! Thank you for the new info!! Glad I stumbled upon this information. Can’t wait to share with my friends that have dogs. Thanks! I learned a lot of good information from this post! I was scared to give my dog anything! I have heard that oatmeal was good for them. Thanks for this. This is a great list for dog owners! 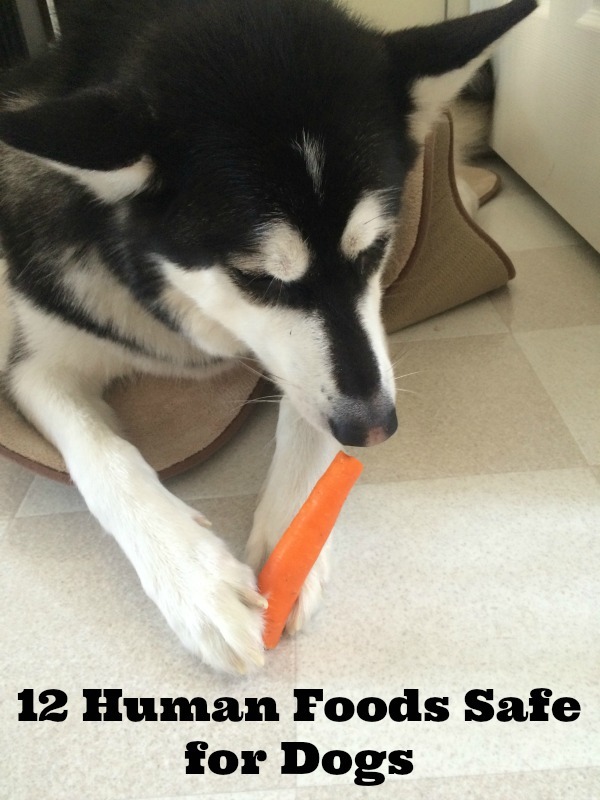 I had no idea that many of these foods were even safe for dogs. With the exception of peanut butter and eggs, I didn’t know that it was safe for dogs to have the rest of these foods. Thank you for the tip! I am forever arguing with my husband about giving the dog ‘people food.’ He slips our Shih Tzu, Devlin, food from every meal and snack. Thanks for providing me with a list of things to keep on hand to substitute for the things Devlin shouldn’t have. I am trying to provide healthier treats for my little girl. We got her from the animal shelter. I want her to stay at a healthier weight and not buy a bunch of high priced treats for her. Great list of healthy snacks for dogs…thank you! Very informative; I have heard about carrots, but who knew that sweet potatoes, broccoli, pumpkin and on and on are foods that dogs would eat! I am glad to have this list and was not aware of how ,any healthy human treats were good for dogs too. I am glad to have this list and was not aware of how many healthy human treats were good for dogs too. I don’t have time to make homemade dog food but I would if I could. I would so much rather give them whole foods than processed treats. My girls love green beans and sweet potato chews. Thanks for these; especially the pumpkin pie filling. Some I already do. My dog (Chinese Shar Pei) loves bananas and banana cream pie, peanut butter and dried out bread, cheese, eggs and sweet potatoes. I’m hesitant at his age (14 1/2) on the green beans and broccoli as he has enough gas now as is. I also cook ground beef thoroughly and mix cooked rice with it for him. I am going to try the oatmeal next. Pretty cool info. My bulldog loves Granny Smith apples, carrots, & pumpkin. My Boston Terrier loves FF cottage cheese and pumpkin. Such discerning pallettes! this is a great list of foods the dogs can eat. i was unsure about most of them, but i found out after dropping one, that my dog loves carrots, and just about all vegtables. I am definitely going to try to incorporate some of these foods into my dog’s diet. Unfortunately, every fruit that you mentioned- she spits out after she tastes them. Thanks for the list! I’m glad to say everything we feed our dogs is on the list…I feel good! Great list of foods. My dog loved eating what we did but I had to be careful with his diet because he had epilepsy. I didn’t know there were so many different types of human food that were okay to give dogs, I usually hear more about what NOT to feed to dogs; thanks for sharing! Wow a lot of these are surprising. I’m going to see if my dog will eat carrots. Wow, great bunch of foods I had no idea dogs could eat!If you don’t mind, I am going to pin this so I can find it again. Thanks so much! This is VERY helpful to me! I hate to say it, but my dogs are completely spoiled and almost always prefer human snacks! Now I know what is and is NOT safe for my “other”children. Thanks for this post! What a very interesting post. I knew some of the foods like carrots and apple slices but the others I did not know. I never realized that dogs can also have allergies or be lactose intolerant. We have cats are there any people food that are beneficial for them? This is a really handy guide. Most people don’t know which people foods for dogs are safe, especially little kids. Chocolate was the only one we ever heard growing up was not safe, so thanks! Thanks for all of this information! It will be put to good use as I plan on getting a dog soon. Grateful for this post, I often wondered if these same products were really good for my dogs since they love most of what you posted on, thanks. A lot of those foods I never knew were same for dogs. I will have to see if my dog likes sweet potatoes. Thank you for the list. My dog loves peanut butter and bananas. But does not like carrots. Great information! Thank you for sharing. 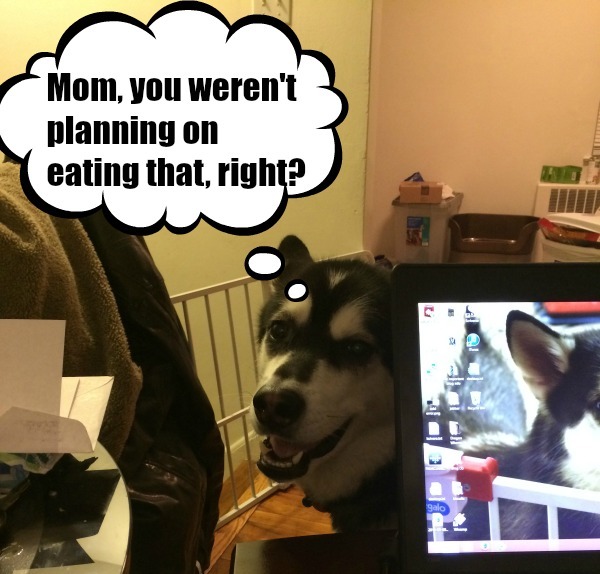 I always worry when I give human food to the dogs. I am so glad to see that you have a list out of the foods dogs can have– Ours love bananas and carrots, one will even dig the carrots out of the garden occasionally,smarty pants. But its ok most of the time.